-- A passionate researcher with papers and a case study published and submitted. Welcome to know more about my research and talks." May 2- May 6, Washington D.C.
My Research Interests: Empirical Research in Service Management; Sustainability Management and Supply Chain Management. 1. Kejia Hu, Jaesik Choi, Alex Sim and Jiming Jiang, 2015. Best Predictive Generalized Linear Mixed Model with Predictive Lasso for High-Speed Network Data Analysis. International Journal of Statistics and Probability, Vol. 4 (2), 132. 2. Kejia Hu, Alex Sim, Demetris Antoniades and Constantine Dovrolis, 2013. Estimating and Forecasting Network Traffic Performance based on Statistical Patterns Observed in SNMP Data. Proceedings of Machine Learning and Data Mining in Pattern Recognition, 601-615. 4. Kejia Hu, Gad Allon, and Achal Bassamboo. Understanding Customers' Retrials in Call Centers: Preference of Service Speed and Service Quality. Working. 5. Kejia Hu, Sunil Chopra and Yuche Chen. The Danger of Tightening Standards without Appropriate Monirogin Macro-Environmental Forces that Drive Carmakers to Misconduct: Intense Competition and Stringent Standards. Working. 6. Guangzhen Guo, Y. Zhang, and Kejia Hu, 2017. Strategic Choice of Open and Closed Platforms: Game Theory Analysis of Downstream Vendors Behavior based on Demand and Cost Advantages. China Industrial Economics，3, 64-82. 7. Kejia Hu, and Yuche Chen. "Technological growth of fuel efficiency in european automobile market 1975–2015." Energy Policy 98 (2016): 142-148. 8. Chen, Yuche, Yunteng Zhang, Yueyue Fan, Kejia Hu, and Jianyou Zhao. "A dynamic programming approach for modeling low-carbon fuel technology adoption considering learning-by-doing effect." Applied energy 185 (2017): 825-835. 9. Yu, Gongming, Yijun Wang, and Kejia Hu. "Regional reserves growth shows decline in annual rate of increase." Oil & Gas Journal 114, no. 7 (2016): 40-44. 10. Jianqiang Hu and Kejia Hu. Case Study on Jointown Pharmaceutical Group Co Ltd, China. 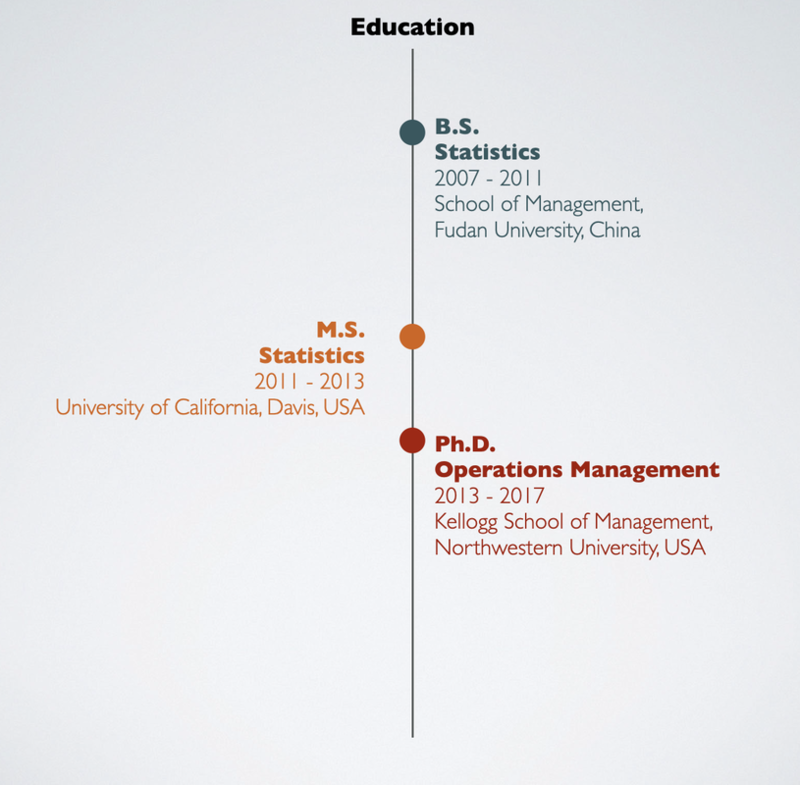 Awarded as the National Top 100 MBA Case Studies, China, 2011. 11. Acimovic, Jason, Francisco Erize, Kejia Hu, Douglas J. Thomas, and Jan A. Van Mieghem. "Product Life Cycle Data Set: Raw and Cleaned Data of Weekly Orders for Personal Computers." Manufacturing & Service Operations Management (2018). Interested in my research? Want to collaborate? Let's get in touch!